Earn 45 - 145 points upon purchasing this product. Use 450 - 1450 points to purchase this product! NUTRIB™ Non-fortified Nutritional Yeast is Non-GMO and is grown naturally on molasses before being harvested, washed and dried at a low temperature to “deactivate” it. We regularly test our Nutritional Yeast (along with all our other products) to ensure only the highest quality. We test each batch for toxic metals, contaminants and other organisms. Our results show no contaminants, no detectable levels of lead and no GMO protein or DNA in the raw materials used as growth substrate, our Nutritional Yeast is grown on sugar cane molasses. End your energy crisis. Being deficient in B vitamins can lead to fatigue, brain fog, irritability and even sleepless nights (as they play a crucial role in melatonin production). The body depends on B6 to make the hormones serotonin and norepinephrine, which affect both mood and feelings of happiness. Improved Vitamin B intake helps us sleep well and helps balance our hormones and increase our energy levels, clarity & overall mental function. Optimize your health with super nutrients. 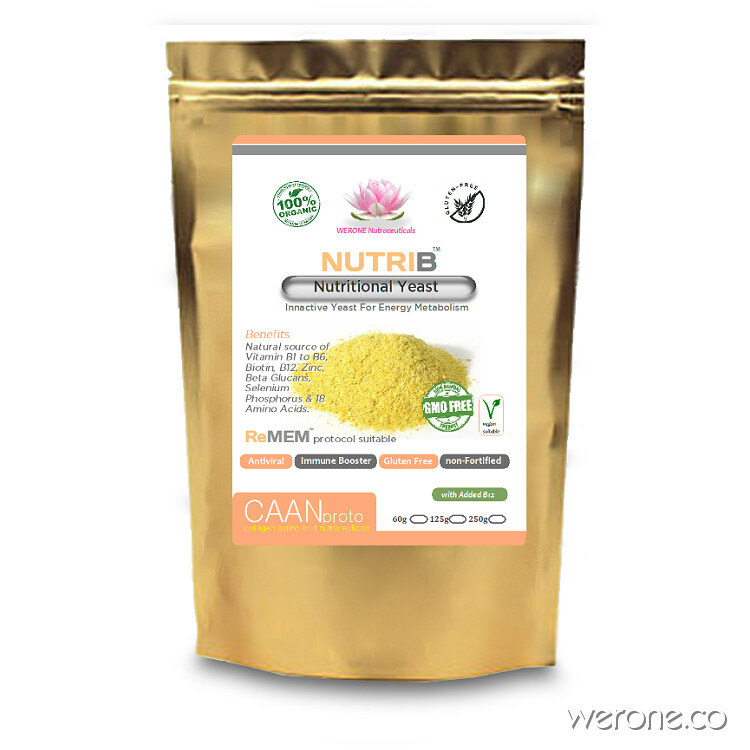 Our nutritional yeast is an excellent source of both protein (a complete, bioavailable and vegan source) and fiber and contains all 18 amino acids and a multitude of different minerals (including iron, selenium and zinc) as well as a natural vitamin B-complex and Beta-glucans (known for their extreme immune enhancing properties plus their ability to lower bad cholesterol). Look and feel your best with help from free-radicals! Evidence from Egyptian ruins suggests that yeast has been an important part of the human diet for at least four thousand years. Archeologists digging in ancient sites in Northern Africa have uncovered grinding stones and baking chambers for yeasted bread, as well as drawings of bakeries and breweries. Beyond taste, nutritional yeast has an impressive list of health attributes. It is naturally rich in select B vitamins including B1 (thiamine), B2(riboflavin), B5 (pantothenic acid) and B6 (pyridoxine). These vitamins support the metabolism of carbohydrates, fats and proteins to provide energy for the body. They are also important for maintaining a healthy nervous system, aiding with vision, and enhancing the integrity of the skin and hair. In addition, nutritional yeast contains fifteen different bone- and muscle-building minerals, including iron, selenium, zinc and potassium. It is a good source of protein as well, meaning it offers a range of essential amino acids that our bodies don’t naturally produce. Nutritional yeast is often confused with brewer’s yeast, but the two are distinct. Brewer’s yeast is aptly named, as it was initially offered as a byproduct of the beer brewing industry. It is now found in dried and deactivated forms specifically prepared for use as a nutritional supplement. Supplemental brewer’s yeast, also called primary brewer’s yeast, is typically grown on a medium of corn or other types of grain. Brewer’s yeast is known for being high in protein, B vitamins and chromium, an essential trace mineral that helps with normalising blood sugar levels. Because it has a bitter taste, however, brewer’s yeast is used less frequently in foods and is often found in tablet and liquid forms. Suggested Usage : Take 1 -2 teaspoon fulls into the mouth and add a little water before swallowing, or sprinkle onto a breakfast, over roasted kale or in sauces, the cheezy flavour complements many dishes.